Each World War I Victoria Cross recipient in Britain will have a stone laid in his or her home town as part of the World War 1 Centenary commemorations in 2014. In Nantwich, Cheshire, for example, second lieutenant Stanley Henry Boughey of the Royal Scots Fusiliers will be remembered. Boughey, whose family lived at Yew Tree Farm in Hurleston, Nantwich, was killed in action in Palestine in December 1917 aged 21. He won his VC for stopping a Turkish attack and taking 30 soldiers prisoner during a battle in El Burff near Jerusalem. He was killed shortly afterwards and is buried in the Gaza War Cemetery. An extract from the London Gazette of 12 February, 1918, states: ‘For most conspicuous bravery. When the enemy in large numbers had managed to crawl up to within 30 yards of our firing line, and with bombs and automatic rifles were keeping down the fire of our machine guns, he rushed forward alone with bombs right up to the enemy, doing great execution and causing the surrender of a party of 30. 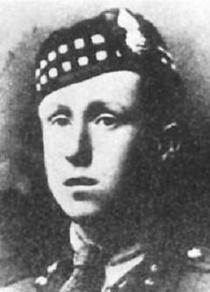 Boughey had previously been a member of the Red Cross in Flanders and had also served with the Ayrshire Yeomanry. This entry was posted in Events and tagged 1917, Cheshire, Gaza, Medals, Nantwich, news, Palestine, Royal Scots Fusiliers, Soldiers of the Great War, Stanley Boughey VC, Turks, VC. Bookmark the permalink.